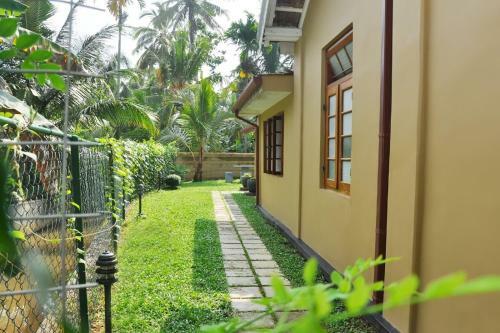 Only 1.5 km from Weligama Beach, Hewittes Cottage is a beautiful property surrounded by lush greenery. Modern guestrooms are cooled with air conditioning and free private parking facilities are available for guests who drive. 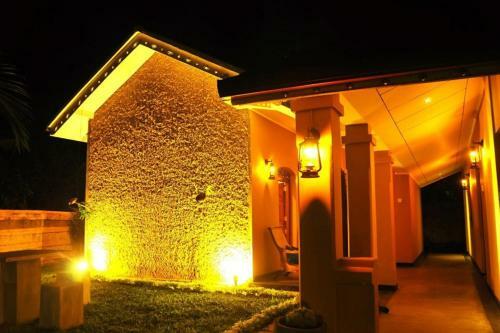 This elegant property is located within 2 km from Weligama Railway Station and Koggala Domestic Airport. Popular whale watching spots are placed 6 km away while Bandaranaike International Airport is 169 km away. 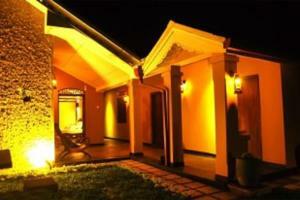 The spacious rooms at Hewittes Cottage feature a fully furnished kitchen, dining area and a sofa. The attached bathrooms come with hot-water showers and free toiletries. For meals, the in-house chef can prepare various traditional Sri Lankan dishes upon request. 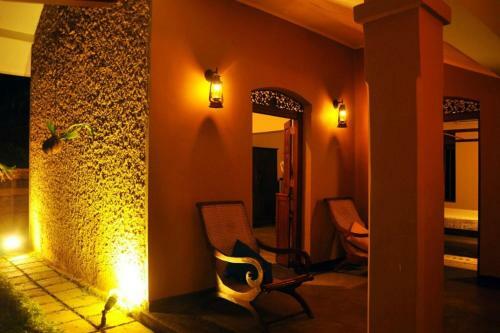 Guests can utilize the children’s playground, laundry services and luggage storage space.